AMCAT Abstraction Questions (Computer Programming) 2019: AMCAT is known as the benchmark of IT standards. Good AMCAT score aids in getting the best job offers. 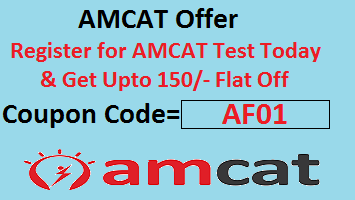 To clear the AMCAT exam, Quantitative abilities, Logical Reasoning and English language are mandatory modules. For engineering candidates, especially for IT branches like Computer Science, Electronics and communication, Electronics and electricals,etc., computer programming is a mandatory module. Here we will be looking into AMCAT Abstraction Questions in Computer Programming section. Object Oriented Programming (OOP), is an important topic of Computer Programming syllabus and Abstraction comes under OOP. Most likely, 2 questions come in AMCAT Computer Programming section from abstraction topic. It takes an average of 1 minute to answer the question. The level of questions ranges from easy to average. In object-oriented programming, abstraction is one of the major concepts (along with encapsulation and inheritance). Through the process of abstraction, a programmer hides all, but the relevant data about an object in order to reduce complexity and increase efficiency. In the same way that abstraction sometimes works in art, the object that remains is a representation of the original, with unwanted detail omitted. The resulting object itself can be referred to as an abstraction, meaning a named entity made up of selected attributes and behavior specific to a particular usage of the originating entity. Abstraction is related to both encapsulation and data hiding. Check out the following example for illustration of Abstraction usage. In the above example, the attributes of wheel and engine are added to the Car type. As per the programming, this will not create any kind of issues. But when it comes to maintenance of the application, this becomes more complex. By using abstraction, we can separate the things that can be grouped to another type. Frequently changing properties and methods can be grouped to a separate type so that the main type need not undergo changes. This adds strength to the OOAD principle -“Code should be open for Extension but closed for Modification“. Simplifies the representation of the domain models. You can see that the attributes and methods related to the Engine and Wheel are moved to the respective classes. Engine and Wheel are referred from the Car type. When ever an instance of Car is created, both Engine and Wheel will be available for the Car and when there are changes to these Types(Engine and Wheel), changes will only be confined to these classes and will not affect the Car class. How many instances of an abstract class can be created? Which of the following is an abstract data type? Which of the following concepts of OOPS means exposing only necessary information to client? Which of the following cannot be inherited? A virtual function that has no definition within the base class is called?